Newly appointed Cooperative Governance and Traditional Affairs Minister Zweli Mkhize has officially labelled the country’s water crisis a national state of disaster. While the City of Cape Town has come close to reaching Day Zero, many South Africans are unaware of the water crisis taking place in the country’s other provinces. On behalf of an inter-ministerial task team on water, Mkhize informed the media on Tuesday morning that the decision had been gazetted publically. While government had previously reclassified the water crisis as a national disaster at the beginning of February, the new declaration means government can access special funds reserved for such disasters. 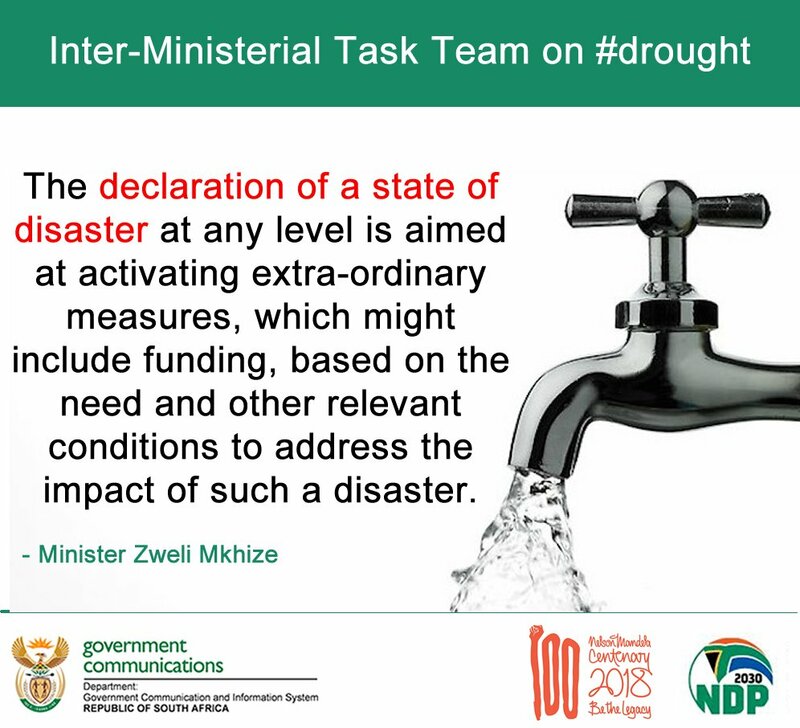 “As the minister responsible for disaster management, I have recognised that special circumstances exist, and have decided to declare the drought as a national state of disaster in terms of Section 27 of the Disaster Management Act,” Mkhize said. Now that the announcement has been made and the declaration official, proceedings will begin to calculate how much money should be released. According to Mkhize, that figure will be announced to the public once the calculations are complete. The minister also revealed that government has noted the widespread negative effect that the crisis has had on the country. The wait to hear who gets what is now well and truly on. With local and provincial governments queuing up, the drama may only be just beginning. Next articleMr Varadkar – We must also care for Ireland’s undocumented!